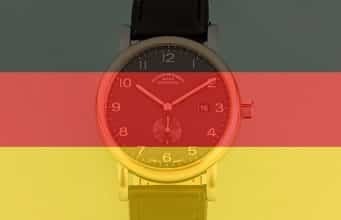 What are the best German watch brands? Germany is one of the world’s most incredible countries, both from an economic and cultural point of view. The Germans are outstanding engineers, whether we’re talking about cars, watches, or innovative technologies. Of course, everyone knows that the Swiss are the world’s leading artisans in the world of watchmaking, but that doesn’t mean that German watches can’t keep up. Actually, if you take the “Swiss-made” moniker out of the equation, German-made watches are often more affordable and just as reliable as their Swiss counterparts. Naturally, each manufacturer uses different technologies, some of which are proprietary, while others mimic what’s already on the market. 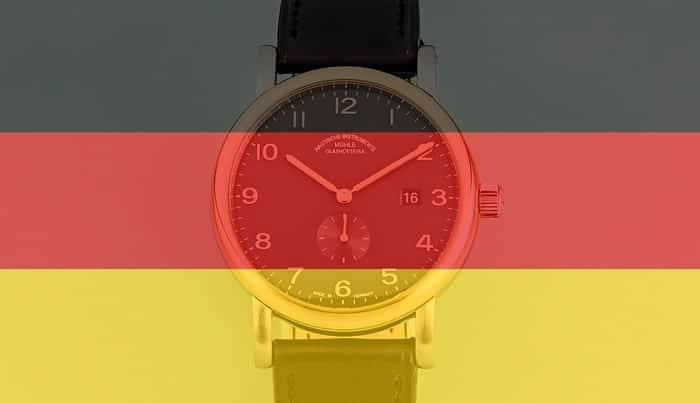 Just to give you an idea on how important wristwatches are for the Germans, we’ll tell you that there are more than 10 major brands to choose from, including more affordable offerings from Archimede Watches, or expensive pieces signed by A. Lange & Söhne. Today we’re going to focus on ten of the best German watch brands, particularly those flaunting a rich heritage. 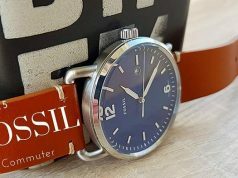 We’ll tell you where each brand is located, how much their watches cost, and what you can expect when it comes to materials and complications. Let’s start off with a brand that traces its roots back to the 1800s, shall we? Junghans Uhren GmbH is both a watch and a clock manufacturer, and it is actually deeply rooted in the watchmaking industry. You see, in 1903, this company had more than 3000 employees, which means that it had one of the world’s largest watch factories, if not the largest. 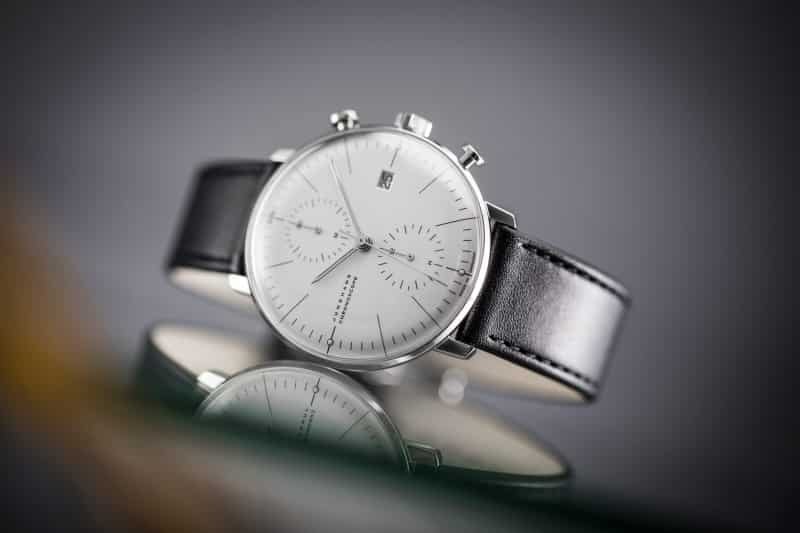 Located in southwest Germany, Junghans is based in a little town named Schramberg. The company was founded in 1851 by Erhard Junghans alongside his brother-in-law Jakob Zeller-Tobler. However, it’s worth noting that it took Junghans many years before it would actually start manufacturing wristwatches. To be precise, they kicked off manufacturing in 1927. Furthermore, in the 1950s, the company worked closely with Bauhaus designer Max Bill, and this partnership lasted for many years. The relationship culminated in 1962 when Bill started to make mechanical wristwatches for Junghans. 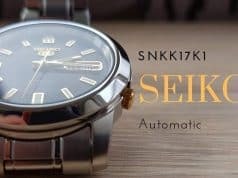 One of the brand’s most important historical pieces is a watch created in partnership with Seiko. This globally-oriented wristwatch sets the local time automatically depending on its location and time zone. This was groundbreaking technology at the time. Moreover, in 1995 Junghans released a solar-powered timepiece with a ceramic housing. The brand is also responsible for the creation of the world’s first radio-controlled wristwatch – the Junghans MEGA 1. If you want to purchase a Junghans watch today, you can always check out Amazon’s offers. From what we’ve seen so far, prices vary greatly between models, but we’ll tell you that you can currently get a Max Bill Edition 2018 in stainless steel for about $600, while a Junghans Meister Driver with a sand-colored dial would set you back about $2,100. Montblanc doesn’t sound very German, does it? Still, this Hamburg-based company does the country proud since 1906, which means that we’re looking at a luxury watchmaker with more than a century of history. To be precise, Montblanc doesn’t just manufacture watches, as it specializes in luxury writing instruments, leather goods, and jewelry as well. Renowned worldwide for its Snow Peak logo, the brand changed hands and suffered many transformations across the years. Its early days are traced back to a Hamburg banker named Alfred Nehemias and an engineer from Berlin named August Eberstein. The two produced simple pens in 1906, but their business was taken over by Wilhelm Dziambor, Christian Lausen, and later Claus Johannes Voss. Under the new management, they produced the Rouge et Noir pen in 1909, as well as the Montblanc in 1910, which eventually gave the company its name. In 1977, the company was acquired by Dunhill, and today, it is a part of the Richemont group alongside Cartier and Van Cleef & Arpels. There are several collections of Montblanc watches available. Some of the most important ones include the TimeWalker, Summit, Star Legacy, Heritage Spirit, Tradition, and Boheme. Created using sturdy materials such as stainless steel or gold, these German wristwatches feature incredibly precise automatic movements, and some of them are tested in-house at the Montblanc Laboratory Test 500 in order to ensure their reliability. 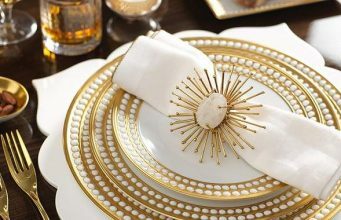 Price-wise, most Montblanc watches usually cost a few thousand dollars, but some of them break the pattern and carry price tags of $7,000 or more. The most expensive Montblanc watch that we could find costs almost 14k, and it is the Heritage Spirit 39mm Automatic Perpetual Calendar. There are quite a few Montblanc watches available on Amazon, just in case you’re looking to purchase one. 8. A. Lange & Söhne. A. Lange & Söhne started by creating pocket watches, which makes sense given that the company was founded all the way back in 1845. Founded as “Lange” by Ferdinand Adolph Lange in Glashütte, the brand eventually ended up under the management of his sons Emil and Richard. Apart from pocket watches, Lange also manufactured oversized wristwatches for German aviation soldiers during World War II. 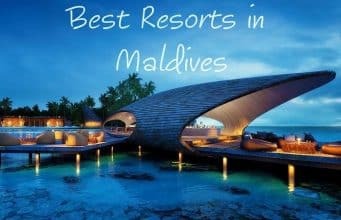 Things changed dramatically in 1948 when the postwar Soviet administration nationalized the property on which the brand operated. This meant that Lange didn’t exist anymore, and it wasn’t until December 1990 that Walter Lange managed to restore it with the help of Günter Blümlein. The first watch collection after the brand’s rebirth came out in 1994, and since then, A. Lange & Söhne has been creating high-end timepieces with the utmost attention to detail. A testament to this commitment to high quality is the fact that A. Lange & Söhne watches feature mechanical movements as opposed to Quartz ones. Moreover, most cases are created using rose gold, white gold, yellow gold or platinum. Back to the movements, they are all made in-house, and they boast certain Swiss-inspired features such as pearlage, multiple bridges, and screwed gold chatons. However, while most Swiss movements are manufactured using plated brass, Lange movements are created using German silver. How expensive is A. Lange & Söhne? 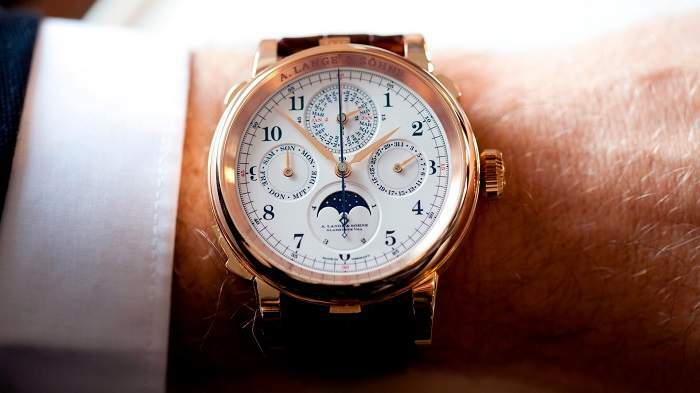 Well, the A. Lange & Söhne Grand Lange 1 watch, for instance, costs $39,995, while the A. Lange & Söhne Zeitwerk 147.025 would set you back $380,000. 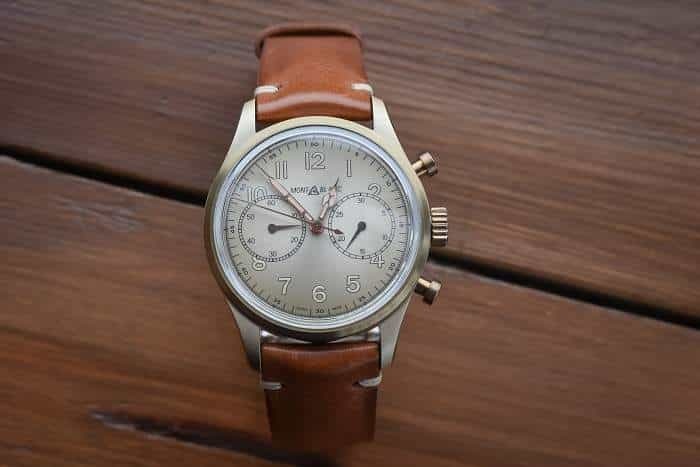 The cheaper alternatives include the A. Lange & Söhne Lange Pforzheim Vormals Glashütte 35mm priced at $6,838. With annual sales of about 10,000 pieces, MeisterSinger is one of the most successful German watch brands on our list. 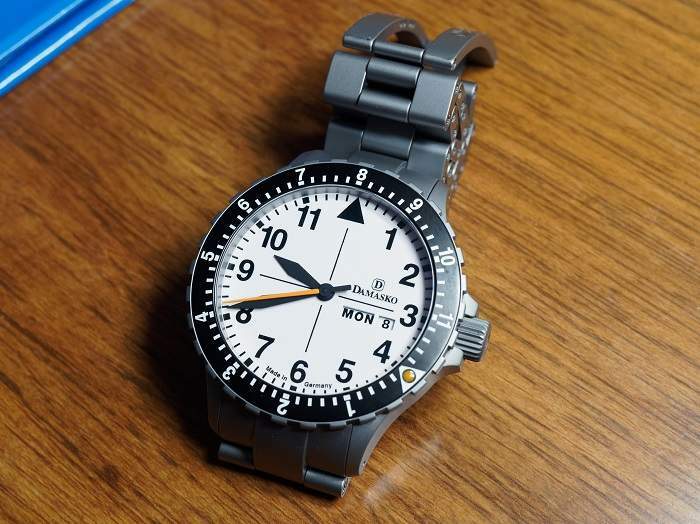 This German watch brand was founded in Münster, Germany in 2001, and it only has about 20 employees at the time of writing. 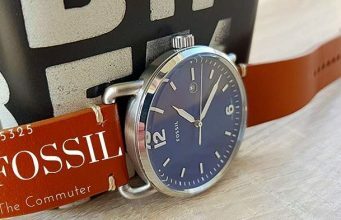 The brand’s history is linked to Weller Manfred Brassler, a jeweler that founded Watch People in 1989 with a man named Klaus Bott. Back then, Watch People mostly produced quartz watches, but Weller wanted to create higher quality mechanical pieces, which is why he sold this company in 1999. In 2001, he founded MeisterSinger. Fun fact: this was an old title given to German singers in the Middle Ages who managed to find new melodic elements. 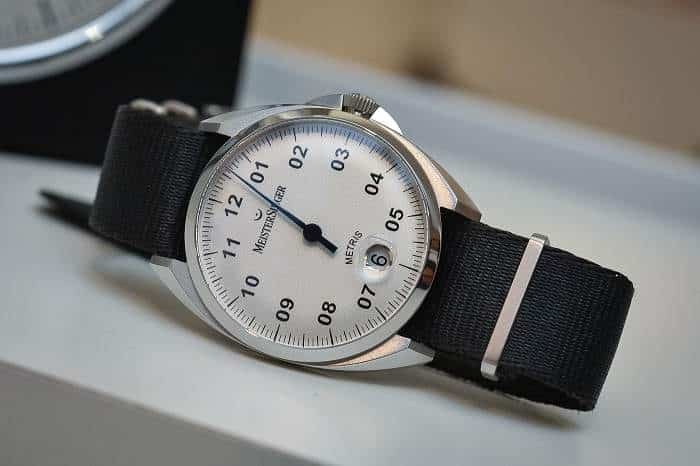 The name is also parallel to innovation and uniqueness, and sure enough, MeisterSinger watches differentiate themselves from other wristwatches on the market. That’s mainly through the use of a single hand as opposed to two or three. This design was inspired by sundials for the most part but also by old clock towers. Furthermore, in order to impose symmetry, the hours from 1 to 9 are showcased with a “0” before each number, which means that each hour has double digits. In its early days, MeisterSinger used ETA movements, but they eventually decided to go with in-house products instead. This decision was motivated mainly due to a lack of availability for ETA. When it comes to awards, the MeisterSinger Circularis brought home the IF Product Design Award in 2015, while the Adhaesio model was awarded both an IF and a Red Dot award in 2016. Price-wise, you will find these watches priced as high as $17,000, while most models usually cost $1,500 to $3,000. 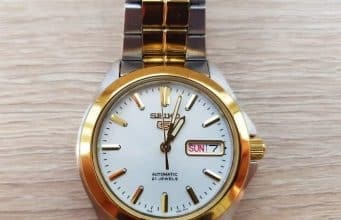 Sinn is a very interesting German watch brand because it started off with manufacturing navigation cockpit clocks and pilot chronographs. 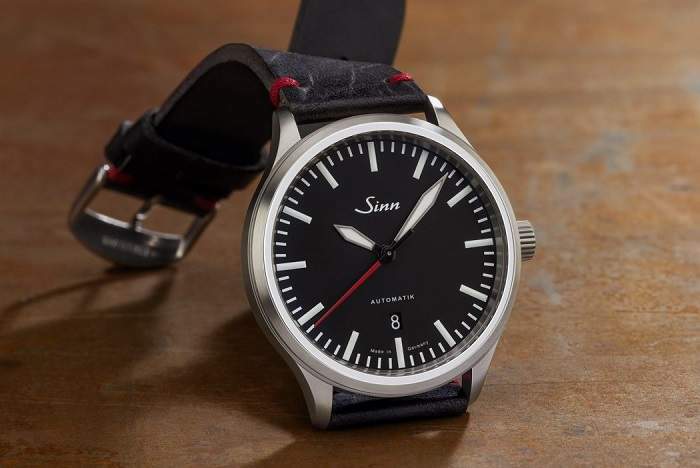 Sinn was founded in 1961 by a pilot and flight instructor named Helmut Sinn, hence the name. Helmut was also a pretty good businessman, as he decided to sell his products directly to customers while bypassing retailers. This meant that he could sell them at a lower price in a win-win situation for both the client and the company. When it comes to watches, they were all manufactured according to Sinn’s own specifications. However, they were assembled in a private label sector in Switzerland. 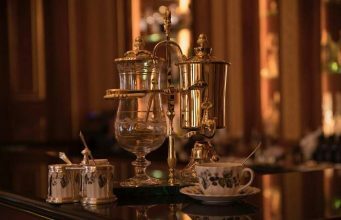 Based in Frankfurt am Main, Sinn has received plenty of awards across the years, including the first place at the Goldene Unruh several times. 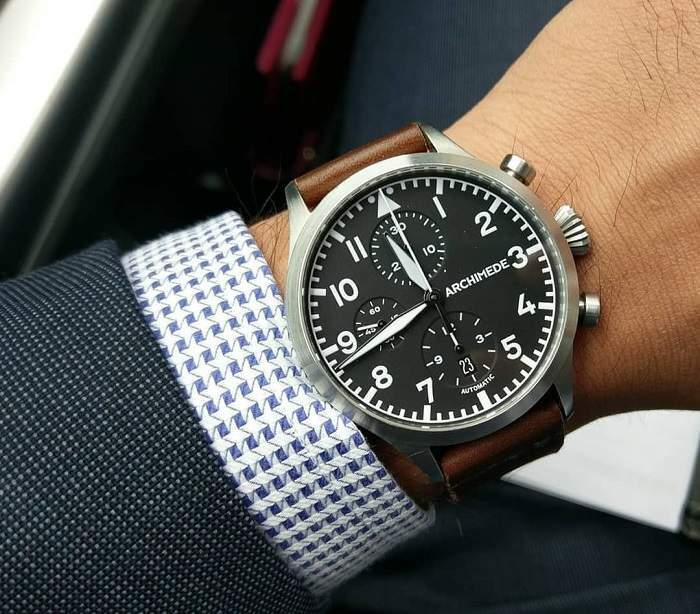 How much does a Sinn watch cost? When it comes to pricing, the Sinn 240 ST is the most expensive offering that we’ve come across, as it would set you back $19,357. For that kind of money, you’d get a steel case and a steel bracelet, while the movement is an automatic SW 220-1 with 26 jewels and an operating frequency of 28.800 A/h. On the opposite side of the spectrum, the Sinn 434 St Mother-of-Pearl costs just $820, and it features a steel case complemented by a leather strap. The movement is the quartz ETA E64.101, which is fitting given the price, but it’s worth noting that even this movement comprises 8 jewels. The dial is mother-of-pearl, and it is protected from the elements by a sapphire crystal. 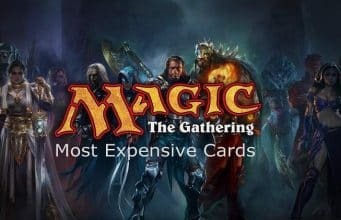 Not bad at all for less than one thousand dollars, wouldn’t you agree? Archimede Watches has only been around for about 15 years, but that’s just the tip of the iceberg. Digging deeper reveals a company with a rich heritage and a great passion for quality watchmaking, which is why we just had to include it on our list. You see, Archimede links its heritage to its parent company Ickler, which boasts more than 90 years experience in watch case manufacturing. Both Archimede and Ickler hail from Pforzheim, Germany, and it looks like their watches are also manufactured in-house, in the same town. Some of the most noteworthy Archimede collections include pilot watches, elegant dress watches, marine watches, divers, and sports watches with reliable automatic movements, hand-would movements, and chronographs. Speaking of movements, Archimede uses high-end Swiss calibers such as the Eta 2824, Sellita SW 200, Eta 7750, or Eta 6498. How much does an Archimede watch cost? Generally speaking, these are some of the most reliable and affordable German watches. Usually, these timepieces retail for less than $1,000, and a great example is the Archimede Silver Dial Hand Wound Marine Deck Watch, which we found for just $785. Damasko’s story begins in Barbing, Germany, and it was founded in 1994 by Konrad Damasko. Konrad was a pretty important man at the time, as he worked with high-end materials for various applications such as the aerospace industry. He brought that experience to Damasko, and he managed to strike a deal with Sinn to supply them with hardened watch cases. This partnership lasted until 2002, and in 2014, Damasko was releasing its very first watches animated by in-house movements. So what kind of movements were they using before that? Well, they had to work with other companies such as Valjoux in order to get their hands on high-quality calibers. Even though it is a relatively new company, Damasko already has a few awards under its belt. The most important one so far is the one given to the Damasko DC56, which is the official wristwatch for Eurofighter test pilots. Moreover, GQ Magazine nominated the Damasko DA38 for the “Best Men’s Watch Under €2000” category. How much does a Damasko watch cost? These are definitely not the most expensive German watches, but they’re not exactly the cheapest either. To give you an example, the Damasko DK10 Stahl Automatik Stahlband 42mm costs $4,504, while the Damasko DA20 Day-Date Stahl Automatik 40mm would set you back $1,331. NOMOS Glashütte is one of the younger brands on our list, but that doesn’t make it any less interesting. 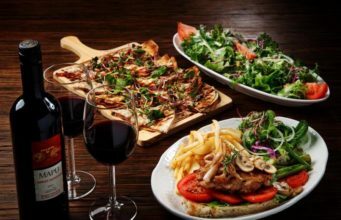 It was founded in 1990 by Roland Schwertner, just two months after the fall of the Berlin Wall. It is based in Glashütte, Saxony, and it manufactures high-quality manual-wound and automatic mechanical watches. Up until 2005, the brand used the Swiss-made ETA SA / Peseux 7001 as its main movement, but things changed when they decided to use in-house movements instead. The first was the Alpha, which is a manual winding caliber, but nowadays they include other variations in their timepieces, including some with impressive complications. It was also in 2005 that NOMOS Glashutte introduced its first automatic watch named Tangomat. In 2013, we witnessed the launch of the Lambda and Lux models in gold, and in 2014, the brand released the NOMOS swing system, which is an in-house escapement. Pushing the boundaries of innovation, they launched the tenth in-house caliber, the DUW 3001 in 2015. With a height of just 3.2mm, this caliber is used exclusively for the Neomatik line that debuted at Baselworld 2016. Overall, Nomos Glashutte has released 13 watch models, some with different variations and designs. These models are named Lux, Orion, Lambda, Autobahn, Tetra, Ludwig, Zurich, Minimatik, Club, Ahoi, Tangomat, Metro, and Tangente. 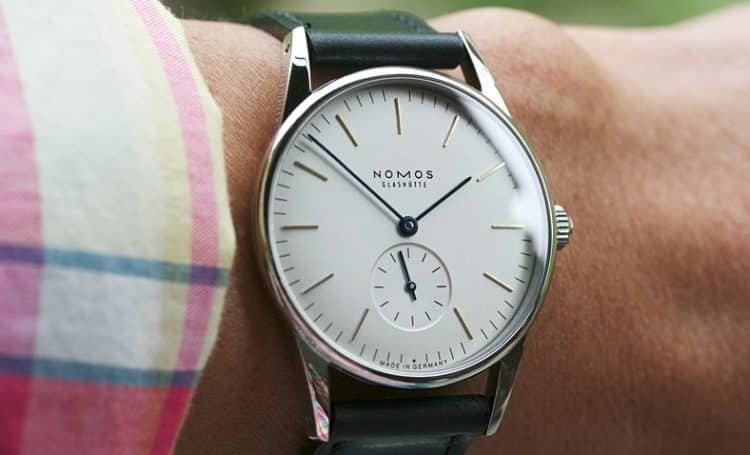 How much does a NOMOS Glashütte watch cost? To give you an idea on pricing, the Nomos Glashütte Ludwig 33mm Steel costs $1,099, while the Nomos Glashütte Autobahn Neomatik 41 Automatic Date carries a price tag of $3,780. Therefore, this is one of the most affordable German watch brands on our list. Stowa’s story brings us all the way to Engelsbrand, which is a part of the district of Enz in Baden-Württemberg, Germany. The company is currently owned by Jörg Schauer, but it was founded in 1927 by Walter Storz. By 1938, the brand was successful enough to afford its own building in Bismarckstraße 54 in Pforzheim, Germany. Sadly, this building came crumbling down in 1945 during the great Pforzheim bombardment. During the same year, Stowa started to build a new factory in Rheinfelden, and in 1951, the project was finally complete. When it comes to its timepieces, Stowa has numerous watch collections, including Antea, which replicates classic pieces from the 1930s. Then there’s the Marine collection, which is based on the marine chronometers used in marine navigation, while the Flieger line honors the original Beobachtungsuhren (B-Uhr) design. The Chronograph line features products based on historic pocket watches, while the ProDiver collection offers Sports diving watches with water resistance ratings up to 3,280 feet. All Stowa watches flaunt ETA movements with extensive decorations or mechanical modifications. It’s worth noting that since Jörg Schauer also owns Deutsche Uhrenrohwerke, Durowe movements could be implemented in the future. 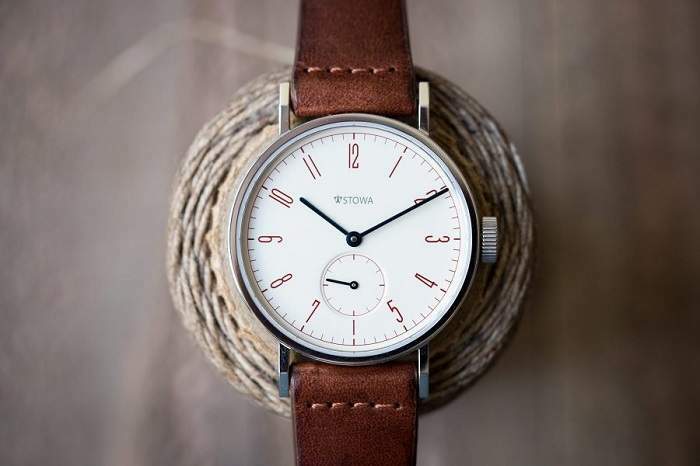 How can I get my hands on a Stowa watch? Since 2001, the company has sold its watches directly to its customers through the official Stowa website or directly at the factory. This way, it managed to keep costs down, and it allowed it to maintain a close relationship with its clients. What’s really special about Glashütte Original is that it’s usually being referred to as a “prestige” watchmaking company. That’s because this brand traces its roots to VEB Glashütter Uhrenbetriebe, which was a conglomerate in Eastern Germany founded in 1951. In 1994, Glashütte Original came into existence due to the privatization of that company. Currently a part of Swatch, Glashütte Original uses its very own movements for its luxury watches. The company even has 10 proprietary movements, which are considered innovative in their own way. The brand’s name comes from Glashütte, which is the German town where the main factory is located. 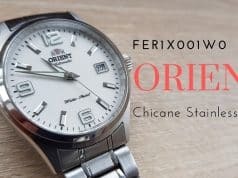 On their website, you’ll find four different watch collections, namely Senator, Pano, Vintage, and Ladies. When it comes to pricing, they vary greatly between different models. To give you an example, a Glashütte Original Senator Perpetual Calendar in 18K Rose Gold comes with a price tag of $18,980 at certain retailers such as Chrono24. If you thought that was expensive, you should know that a Glashütte Original Senator Tourbillon 1-94-03-04-04-04 retails for $99,869 at the time of writing. 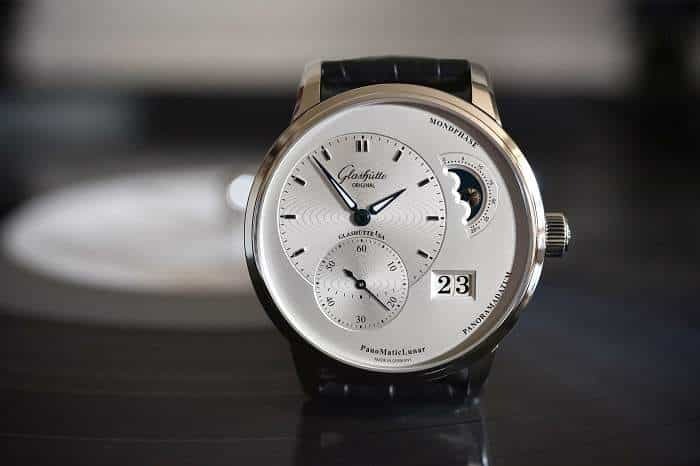 However, there are cheaper alternatives available, such as the Glashütte Original Senator Hand Date timepiece, which boasts a price tag nearing five thousand dollars. As you can see, German watchmaking brands don’t shy away from high prices. The cost is justified by the impeccable build quality, premium materials, and a heritage to match.